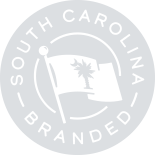 SC Branded Awards | Nominate a Brand today! All awards should be nominated for their work between July 2017 and June 2018. A detailed application will be sent to all nominees once nominations have closed. So if you know someone who qualifies in one of the following areas, please nominate them—but be fast—nominations close August 17, 2018! 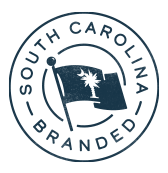 Every year, South Carolina becomes more diverse and inclusive, attracting new residents from all over the globe. The Community Diversity Award gives recognition to the organization or company that best reflects and promotes this diversity through its hiring strategy, membership structure, or other initiatives. People in South Carolina know how to throw a good party, with great food, plenty of drinks, and warm hospitality. The Event of the Year Award celebrates the corporation or non-profit organization that hosts the celebration that best attracts regional and national/global attention, visitors and economic development impact to our state. Nominations due by August 17, 2018. Event of the Year – Must be between August 1, 2017 and July 31, 2018. You can also submit a nomination by downloading our PDF Nomination Form here.